We’re big fans of the porridge renaissance (yes porridge is making a comeback!) and like to serve a savory version for brunch. B.R. 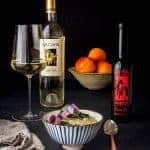 Cohn Winery sent us a bottle of their 2017 Pinot Gris Sonoma Valley and Blood Orange California Olive Oil to try and we paired them with our favorite savory amaranth porridge. The Pinot Gris is an ideal brunch wine, with a bright fruit profile, complemented by fresh acidity. We love finishing rice dishes with infused oils, and the blood orange olive oil adds the perfect punch of citrus to this savory porridge. Bring shallot, ginger, rice, amaranth, and 8 cups water to a boil in a large (3 quart) saucepan. Reduce the heat to a simmer so the mixture is barely bubbling. Stir often to prevent sticking (stir in more water as needed to keep the mixture from clumping), until the mixture is thick like porridge and rice is soft, approximately 30-40 minutes. Add the oats and simmer for 15 minutes, or until the oats are cooked through. Discard shallot and ginger and stir in the soy sauce. Add more soy sauce to taste, you’re aiming for a savory but not overpowering saltiness. To serve, divide the porridge into 4 bowls and stir equal amounts of pea shoots into each serving. Drizzle a tablespoon of B.R. 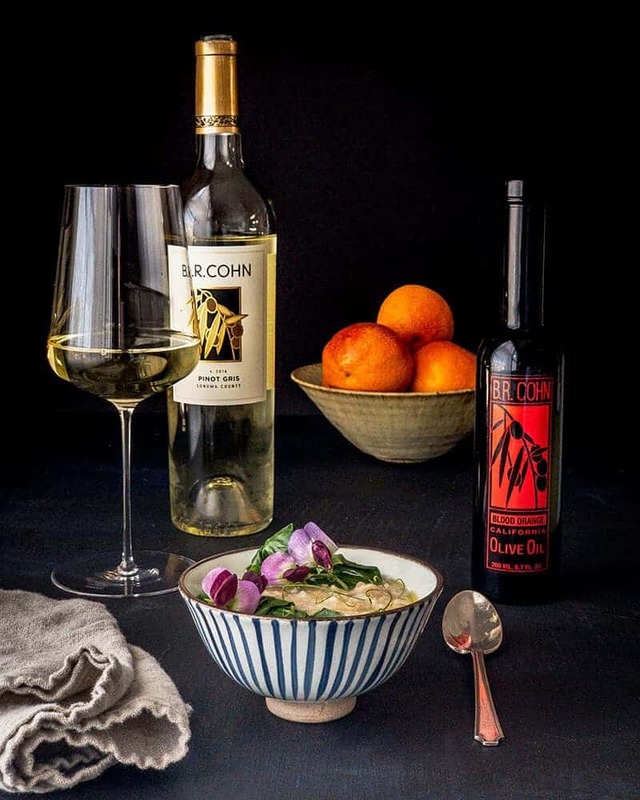 Cohn Blood Orange California Olive Oil on top of each bowl and serve.